I'm sure you've probably seen this, but its impressive either way. The community generated tools for this game are something else. And in the future that kind of generated content will be able to automatically include player names. And even with the current version, you could probably fine tune the algorithm to dig up specific combos. "Combos done by Falcon" "Combos done by Falcon to Sheik." "Combos done by Falcon to Sheik that include a down air." Etc. That is some impressive tech. Glad we have cool things like that being worked on. I wasn't aware there was a noteworthy tournament this weekend, will watch. stream sounds like a broken AM Radio? though i remember what streams on justin tv were like back in 2008 and i think this audio quality might be superior? Well at least they are working on the audio... now no commentary and just out of phase(?) game audio. I'M THE GUY, I get it! So when this game is over top 8 will be halfway over. Save us Slippi. Make timeouts more meaningful by making person who held center the winner. If it's too close to call then go by percent. Could also probably justify a change to a 6 minute timer along with that. I missed it, what happened that needed a judge ruling? Just now? It was just a super campy Puff ICs set. Wobbling banned. IC player was frustrated and wobbled to end a game he was already about to lose, and just walked off stage (physically, not in-game) to end the set after they went like 2 minutes without any interaction during the last game. I think Falcons are just too good at FoD now, it's not a great counterpick anymore. The top Falcons are all getting better at using the platforms instead of getting messed up by them. I don't know about this counterpick, Zain destroys people on DL. That SD might be the difference. Axe looking like the best Melee player by far today. Waaait I didn't even notice, they are playing with frozen Stadium? That's cool. Yep, best Melee player by far. since when was frozen stadium a thing? There was talk about it for a lot of last year, but this is the first time I've heard of anything other than a local actually running it. God, that ICs vs Puff set felt more like an attempt by both players to make a political statement than an actual competition. 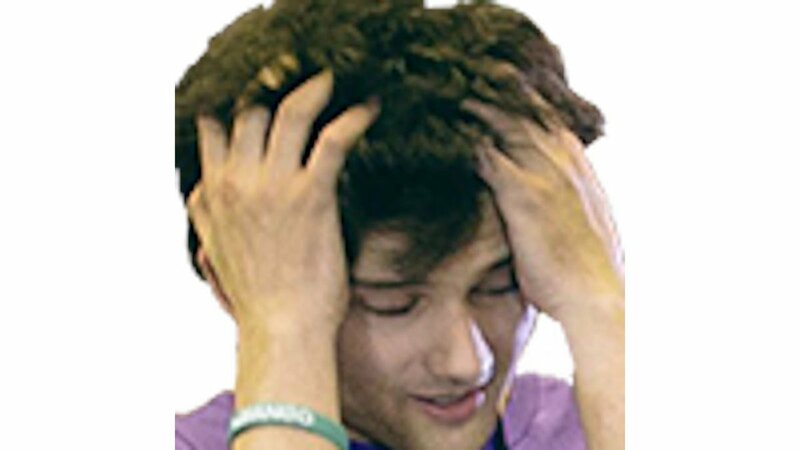 There's gotta be a better solution to timeouts now that players (Puff mains) are so pervasively gaming the ruleset. That was brutal. I was posting those kinds of tech back in 2016, but axe actually does it in matches. Hes done it in tournament too, which is crazy to me that he even goes for it under pressure. damn nice! I'd love to see Axe bust it out in tourney. Would be crazy. Also it seems like there's a bit of backlash going on against Ultimate right now, which is hilarious to me. Smash 4 players starting to criticize it because it doesn't play enough like Smash 4. This doesn't actually surprise me because I couldn't stand Smash 4 and enjoy Ultimate, so I could see people who were obsessed with Smash 4 not really enjoying some of the changes made. It's not just an edge cancel, it's an edge cancelled aerial interrupt. Pikachu's fair can do that as well; it has two (separate) frames iirc where it does so and when hitting the second one you don't even need to edge cancel as it will auto cancel. Are you sure? Based on the frame data it looks like dair is Pikachu's only aerial without an early autocancel window, which would mean it couldn't aerial interrupt. But that frame data could be wrong. Looks like Absentpage was banned from MN tournaments after posting about wishing M2K was dead. I can already see the Era thread and the direction it will go. "Why is everyone who associates with Melee so damn terrible?" "Community did good, better safe than sorry. Hopefully AP gets the help he needs." That makes sense. It's usually just useful for autocancels but in this case it's using an edge cancel instead. The spacing and timing to do that is even more ridiculous than I thought.